Expensive = good? Buyers prepared to invest around 1500 Euros (~$2054) in a premium ultrabook will now find another alternative to Apple & co. in the new Toshiba Kira-101. We will reveal why it is not class best despite a speedy Core i7 processor, magnesium casing, and WQHD screen. With a brilliant, bright WQHD screen and performance to match, the Toshiba Kirabook 13 i7s Touch earns our Editors' Choice nod for high-end ultrabooks. Though it's a little pricey, the new Kirabook, with premium components housed in an attractive package that weighs less than 3 pounds, is worth the extra cash. It smokes its rivals and looks good doing it. That's the formula for a top-notch high-end ultrabook if I ever saw one. The Toshiba Kira 101 is a thin, lightweight and stylish ultrabook that would not look out of place in a business meeting. The high-resolution 13.3-inch touchscreen is a highlight, alongside 8GB of RAM, a dual-core Core i7 processor and a 256GB SSD. Some business users may bemoan by the absence of VGA and Ethernet ports and the lack of an optical drive, but these are rare components on an ultrabook. The £1,082.50 (ex. VAT) price is high, though. The Kira's price and availability - £1,299 and from Selfridges - makes this machine feel like a high-class affair, but the reality isn't quite so sweet. The high-quality screen is hampered by lack of software optimisation, the performance is mediocre and is accompanied by noise and heat, and the design just can't match the pure class of rivals. The keyboard, trackpad and battery life are all good, but are also all bettered elsewhere. The Kira-101 is an extremely well-built Ultrabook which has one of the best displays we've ever seen on a laptop. However, it's very expensive for its capabilities, especially when compared to the Best Buy-winning Asus Zenbook UX302, which is similarly specified, cheaper and has longer battery life. The Kira's longer battery life, compact stylings and attractive looks (with the lid open) are all plus points for Toshiba's second Ultrabook, but some of the flaws are real deal-breakers. The most glaring one is the display's lackluster backlight, which is an unfortunate one considering the highly reflective nature of the display and its average viewing angles. The Kira is an impressive piece of kit. It's fast and the screen is stunning. There are a few niggles that will hopefully be ironed out by the time the second generation of the Kira is released. There's still room for refining the design, for example, and there's definitely scope for improving the built-in speakers. Perhaps the area that most needs attention, though, is price. The Kira is listed for £1,299 (US$2,190) in the UK. The highest spec Dell XPS comes in at £150 ($253) less and is very comparable specs-wise, while you can pick up a 13-in MacBook Air with a comparable i7 processor from £1,129 ($1,900). Toshiba Kirabook 2014 Edition is a slim, lightweight and premium ultrabook with impressive screen resolution and upgraded battery life. 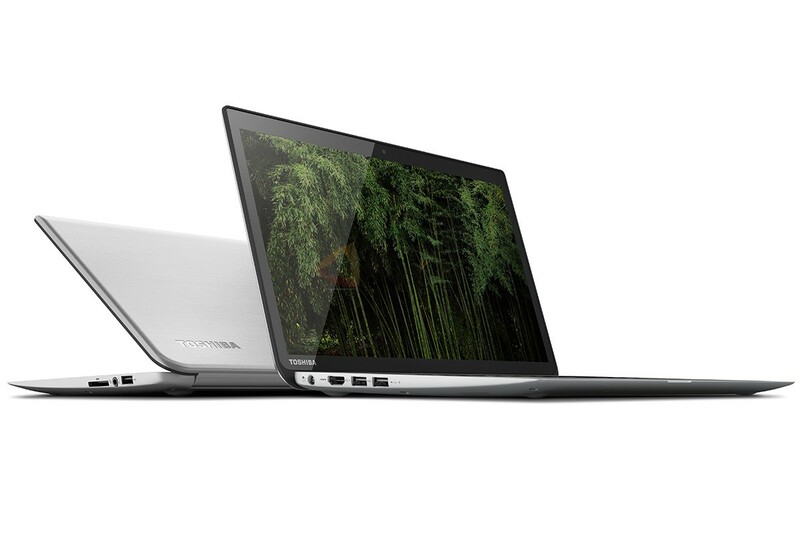 The ultrabook is elegantly built from pressed magnesium alloy. It features a strong stabilizing hinge to support the beautiful touchscreen. The display is a 13.3 inch 2560 X 1440 pixels PixelPure panel that will stun most users with its clarity and accuracy. At the heart of the ultrabook is a 1.8 GHz Intel Core i7 – 4500U processor, 8 GB DDR3 SDRAM at 1600 MHz and integrated Intel HD Graphics 4400 GPU. This enables the ultrabook to perform most tasks asked of it with relevant ease. There is also a model with an Intel i5 configuration available as a lower end option. The storage on board is a 256 GB SSD drive and excludes an optical drive which is common with newer ultrabooks. It also comes with a backlit frameless keyboard, ultra fast 802.11ac Wi-Fi chipset and the ability to charge USB devices even when the Kirabook is off. The operating system is Windows 8.1 Pro (64-bit) and this takes advantage of the Kirabook’s touchscreen capabilities. Considered to be a bit pricey for the specifications, the Toshiba Kirabook is just another option with no distinct features to separate it from the rest.